Are we giving away too much free music? These days musicians take advantage of giving away free music to fans in hopes that it will entice them to buy their full length album when it comes out. In theory this somewhat works. Just do not over-do it. Some artists are giving away way too much music so it kinda cheapens their worth to a fan. The problem is that everyone has started this trend. They are giving away mixtapes and way too much free content. It is getting to the point where there is so much free garbage out there, people are starting to overlook free music. You must know your worth as an artist. 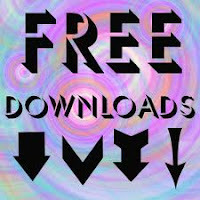 It is fine to give away some music for free online. One song a month or something like that. If you keep giving away full mixtapes and albums, you will possibly lose your worth in your fans eyes and they will not want to pay for anything anymore. This is especially true for independent artists.